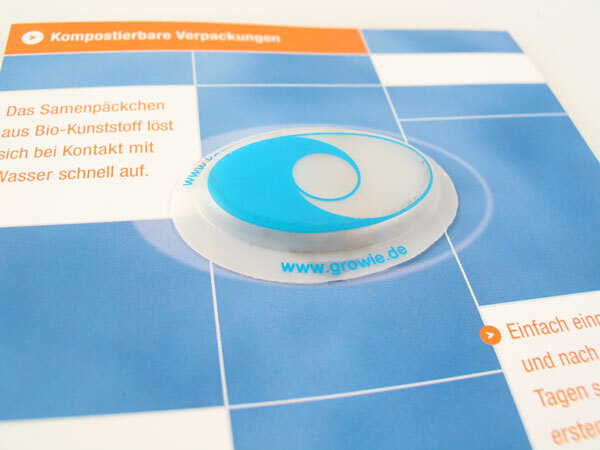 GROWIE® as a promotional item in HR marketing - primary area of trade shows and recruiting events. 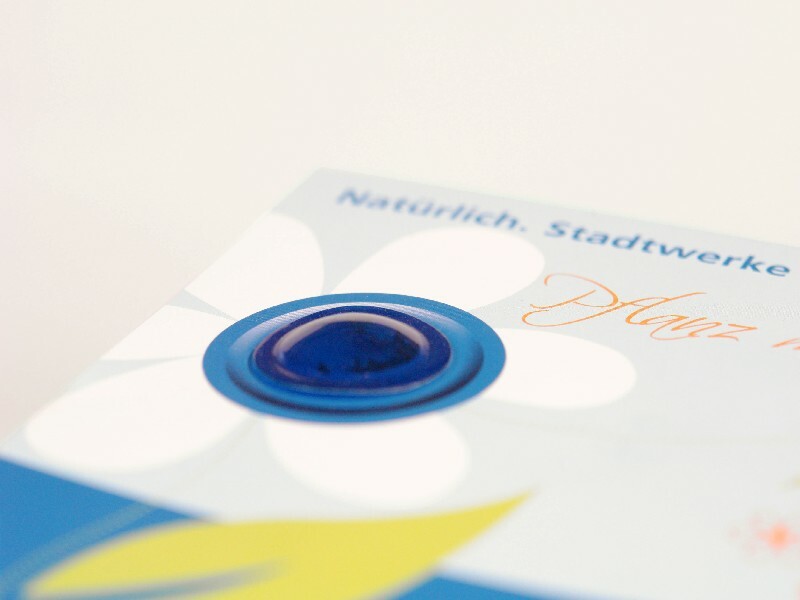 GROWIE® with its climate-neutral properties is ideal for city and municipal marketing. 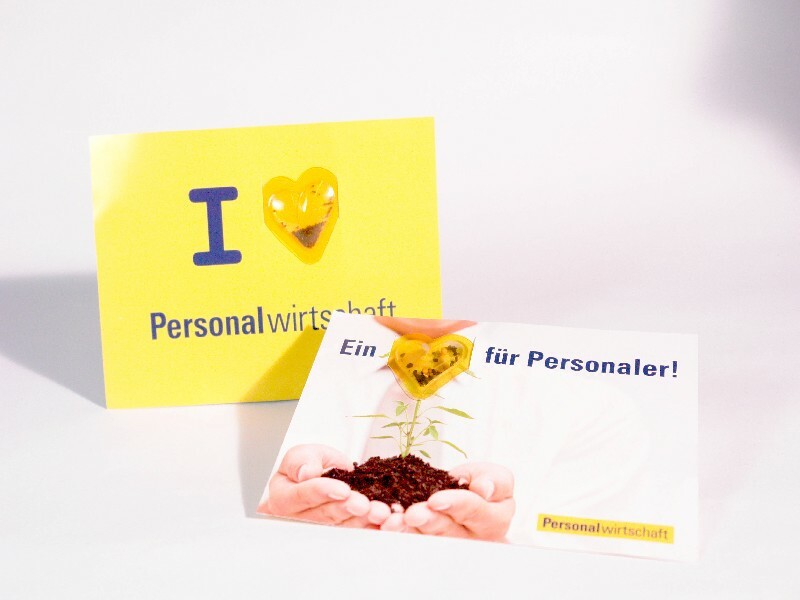 By planting a Growies the addressee is actively involved in the marketing activities of municipalities and cities at the same time it strengthens the awareness for the environment. 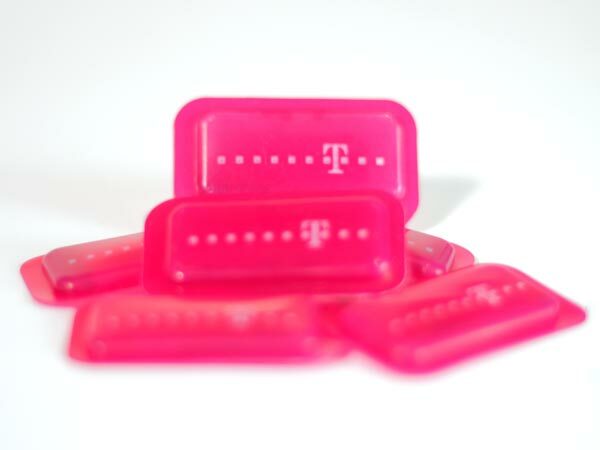 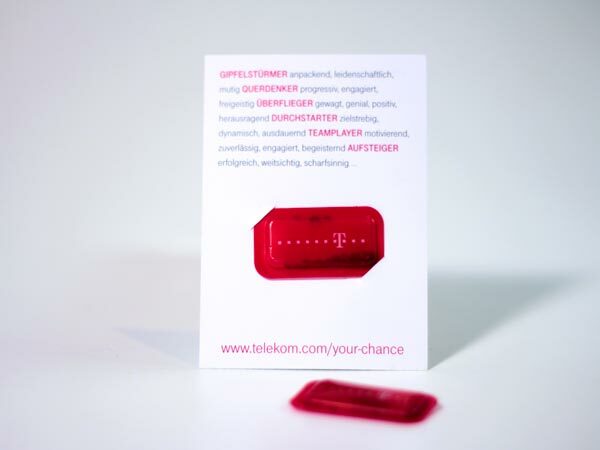 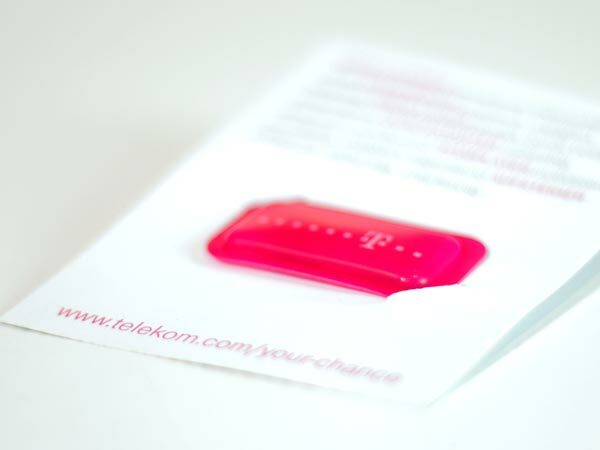 GROWIE® is used for trade show marketing of Deutsche Telekom at CeBIT 2010. The branded GROWIE® was fixed on an info card for visitors. 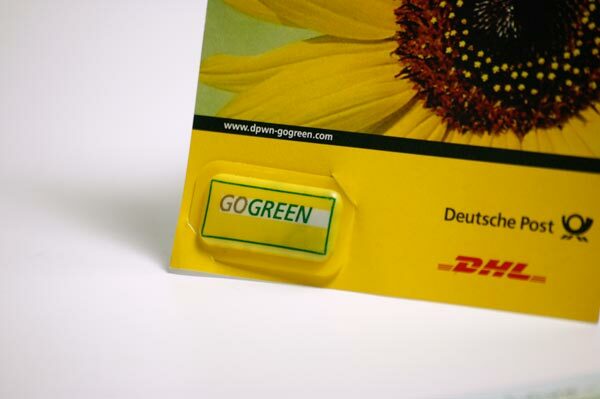 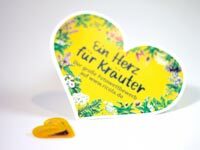 GROWIE® as a climate neutral component of an image campaign for the climate protection program GoGreen of Deutsche Post DHL in Germany. 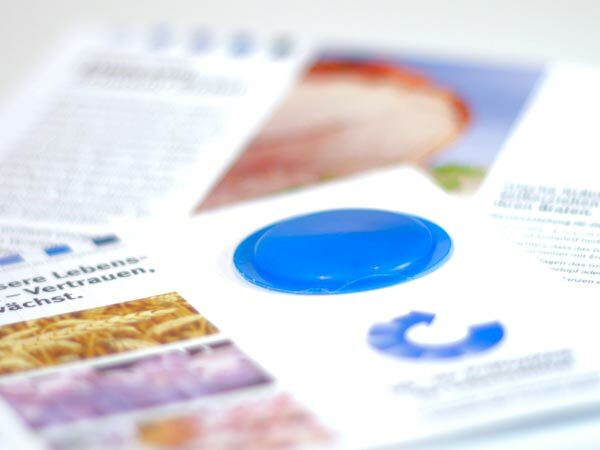 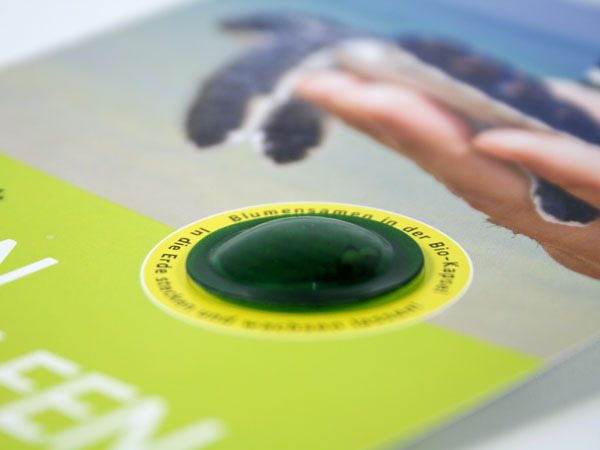 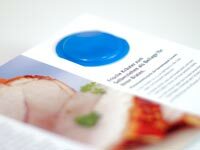 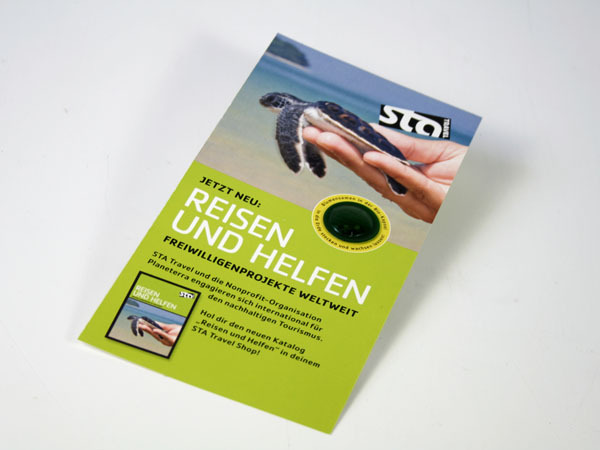 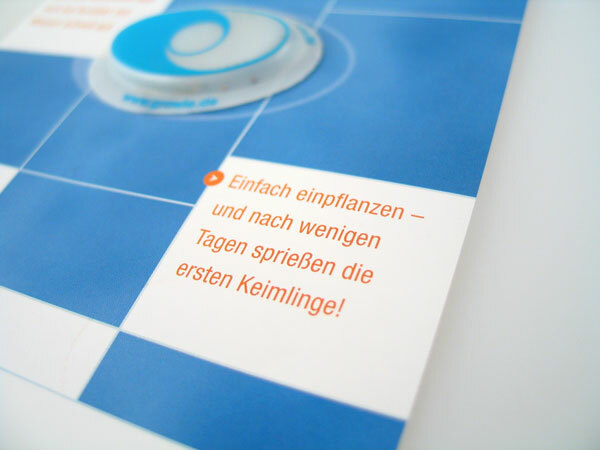 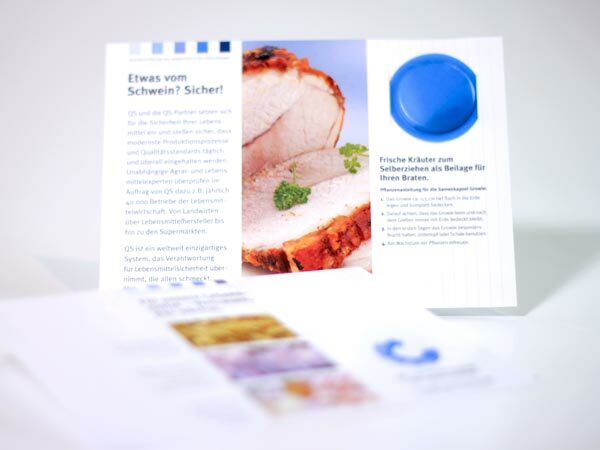 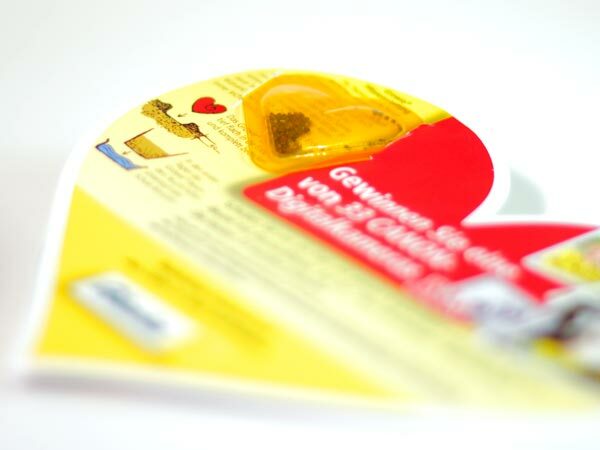 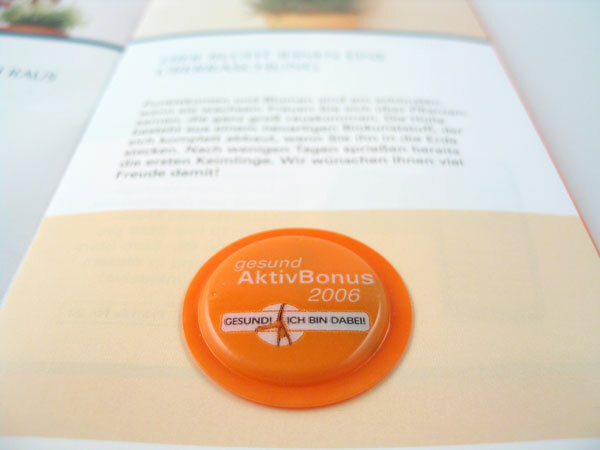 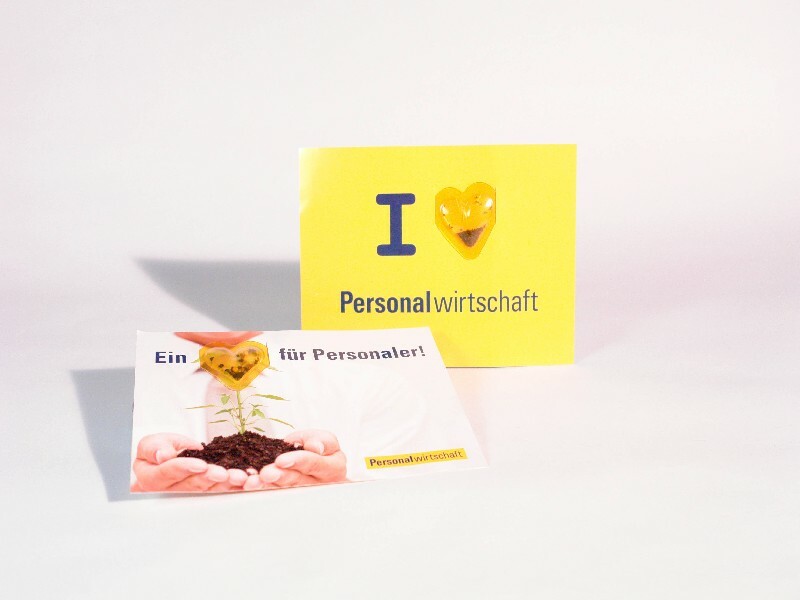 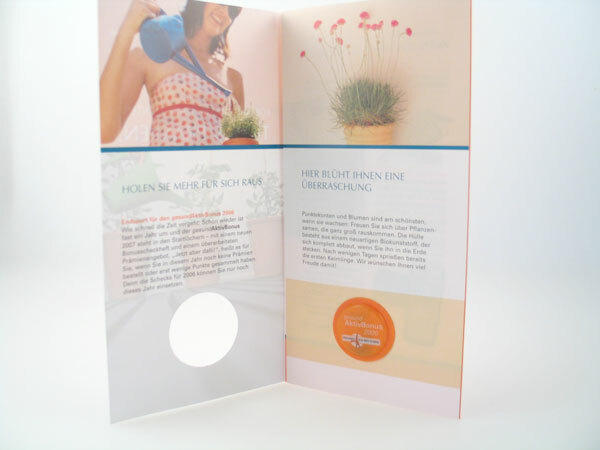 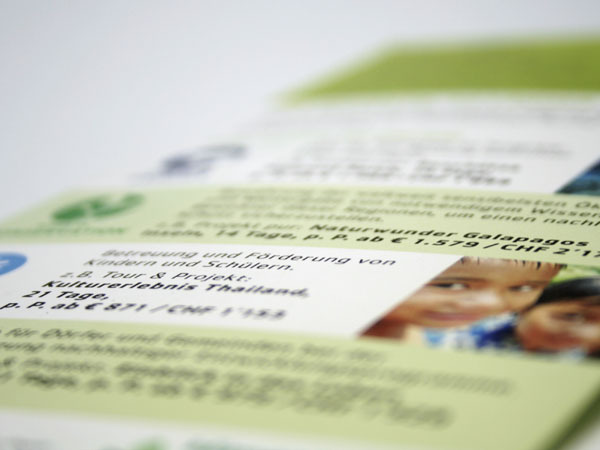 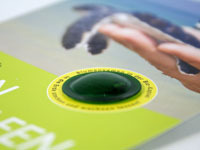 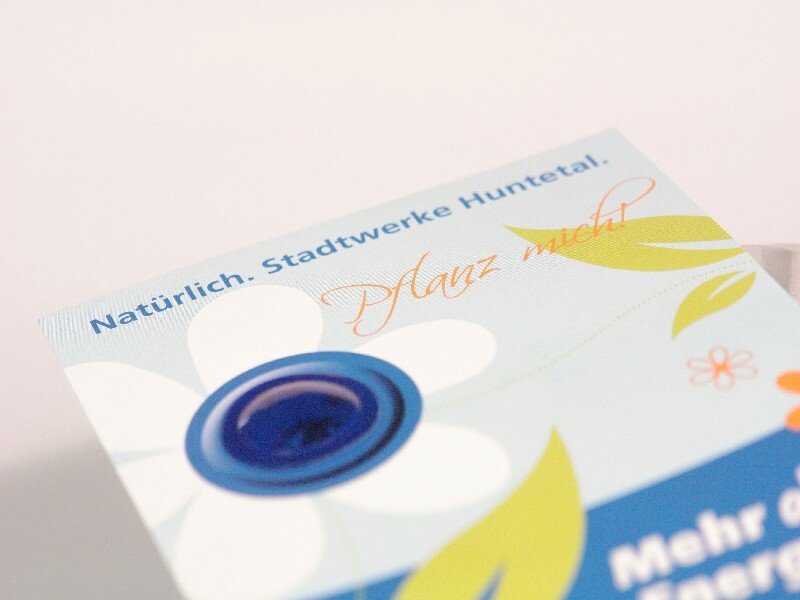 GROWIE® is fixed on a postcard – target group end consumers. 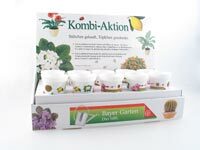 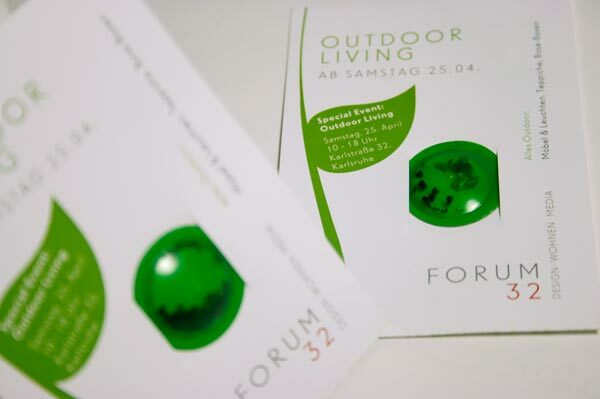 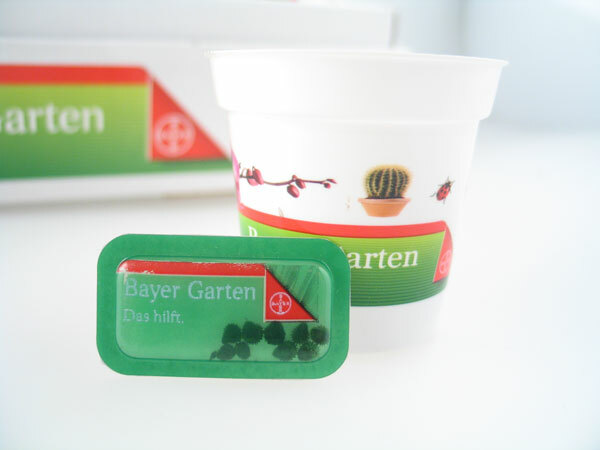 GROWIE® as an appetizer with integrated herb seeds for visitors of the International Green Week Berlin. 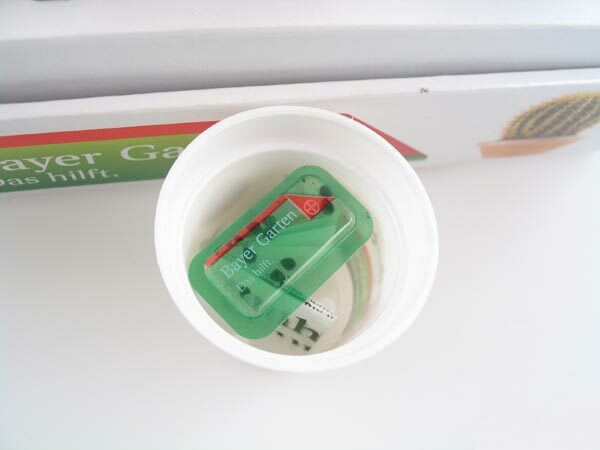 Using the GROWIE® visitors can grow herbs themselves at home. 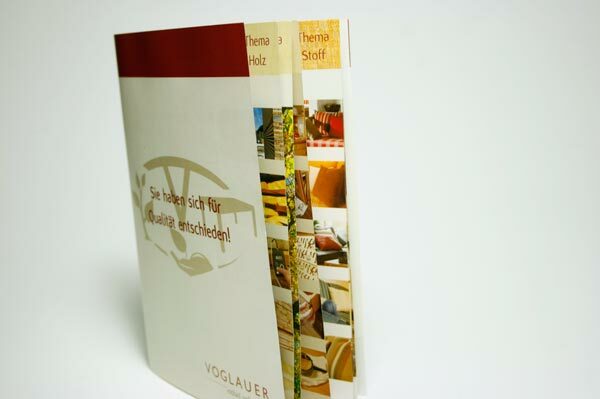 GROWIE® as integral part of an image broschure for the Austrian furniture store Voglauer. 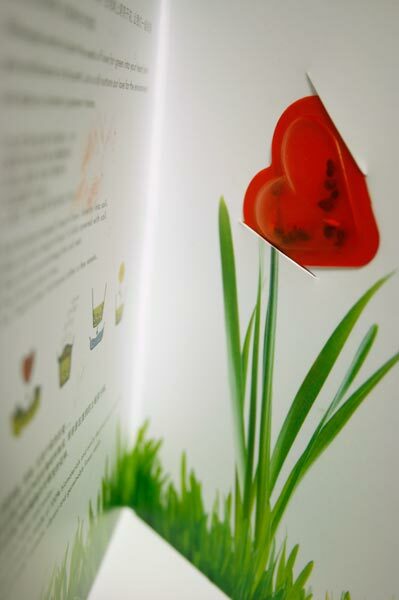 As a haptic part of the blossom it raises the attention and provides an additional value for the consumer. 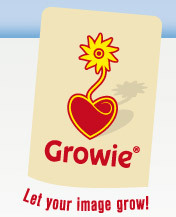 GROWIE® goes to China. 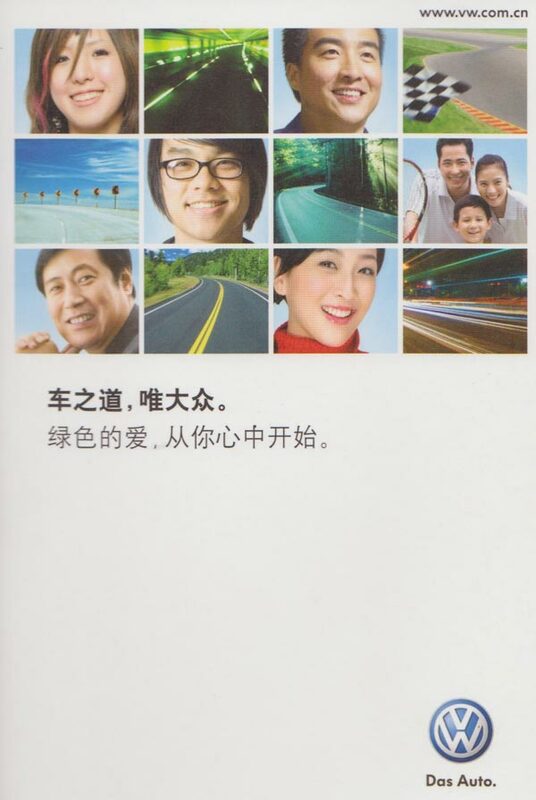 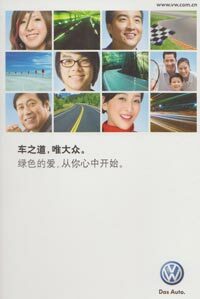 Environmental protection becomes more and more important in China. 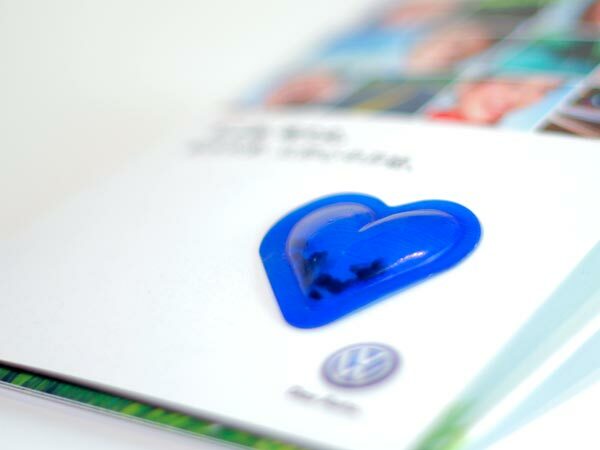 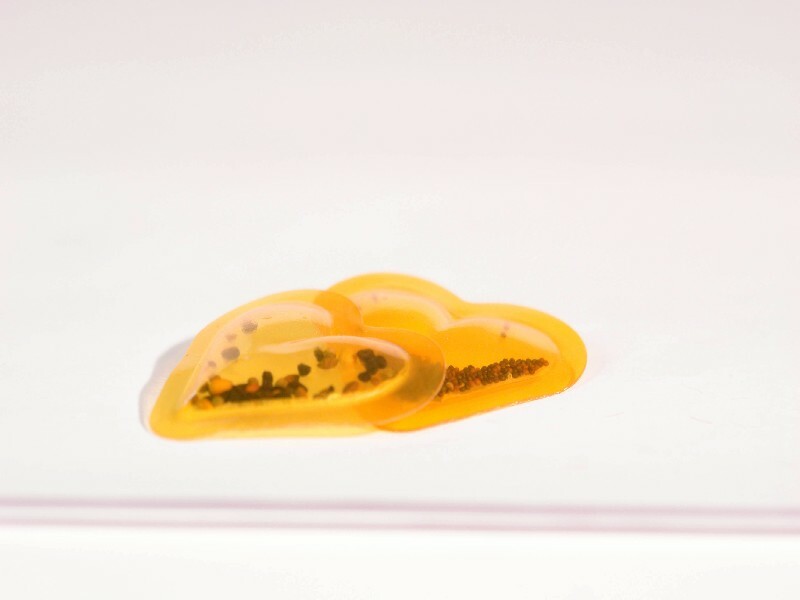 The German Carmaker VW is using a heart-shaped GROWIE® as a climate neutral giveaway for the Shanghai Motorshow in spring 2009. 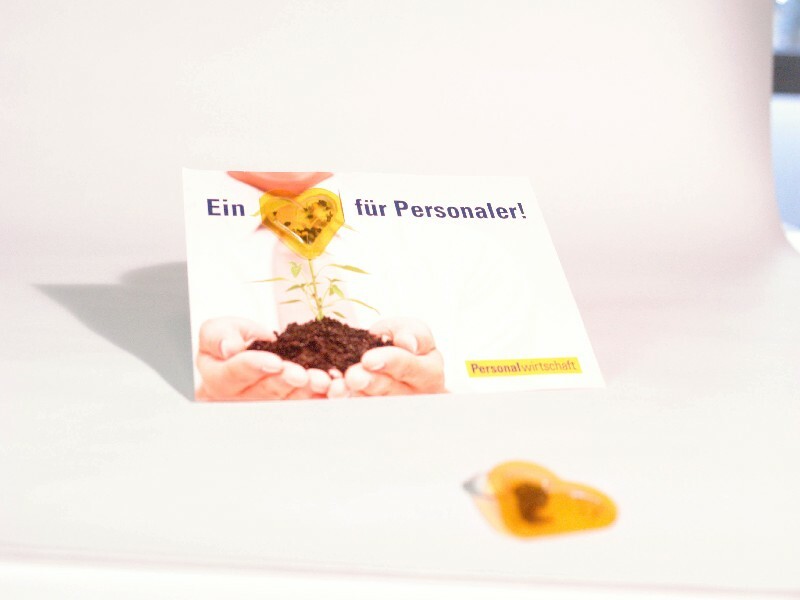 Fixed on a broschure it raises the attention of the viewer and provides an extra benefit through the integrated seeds. 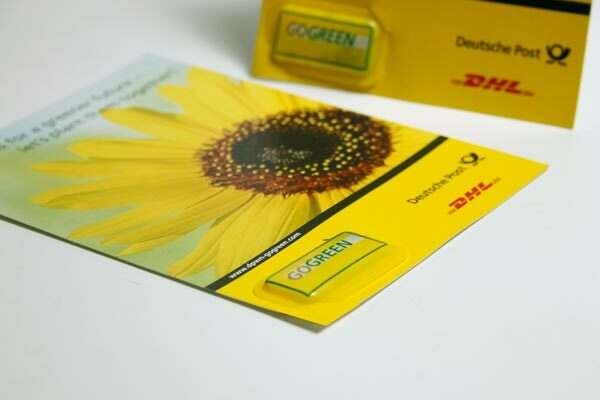 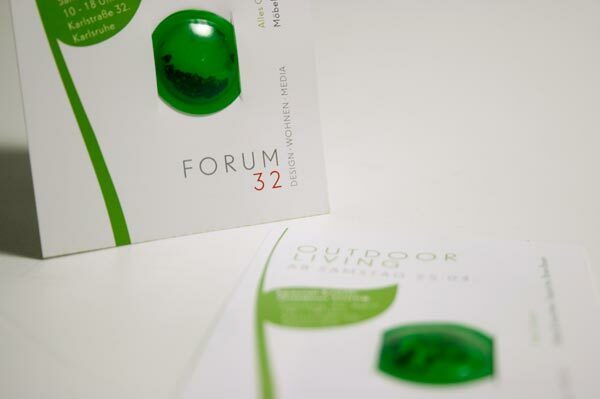 GROWIE® was chosen as one of the best accepted promotional items at this trade show!. 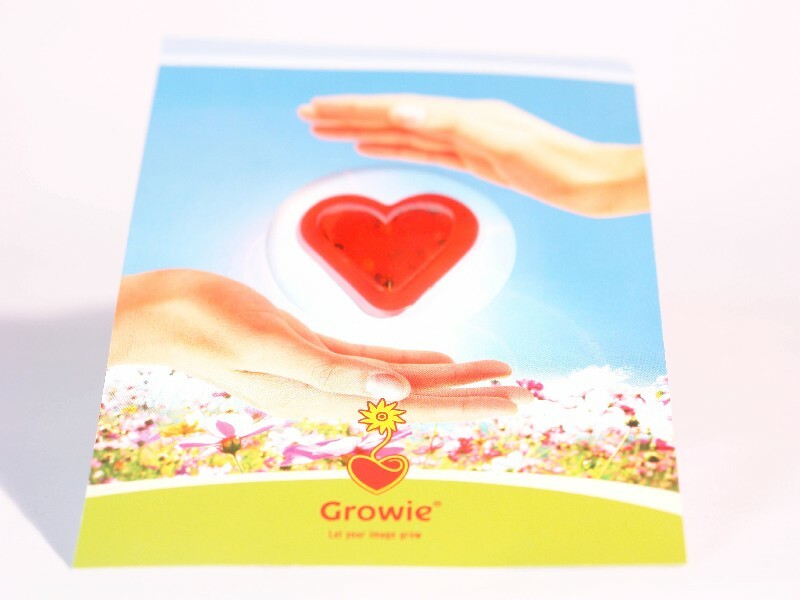 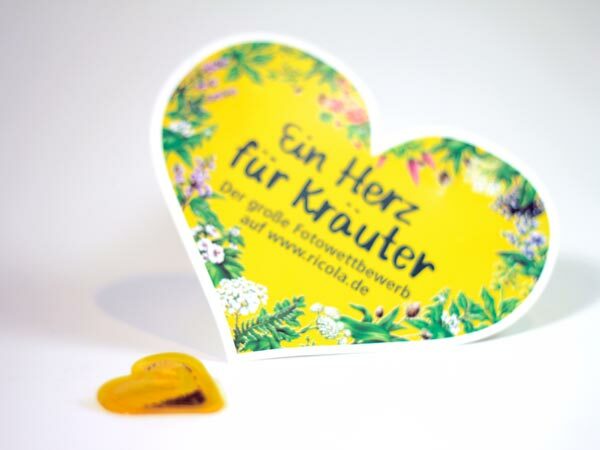 GROWIE® used as a giveaway in POS-marketing of Ricola. 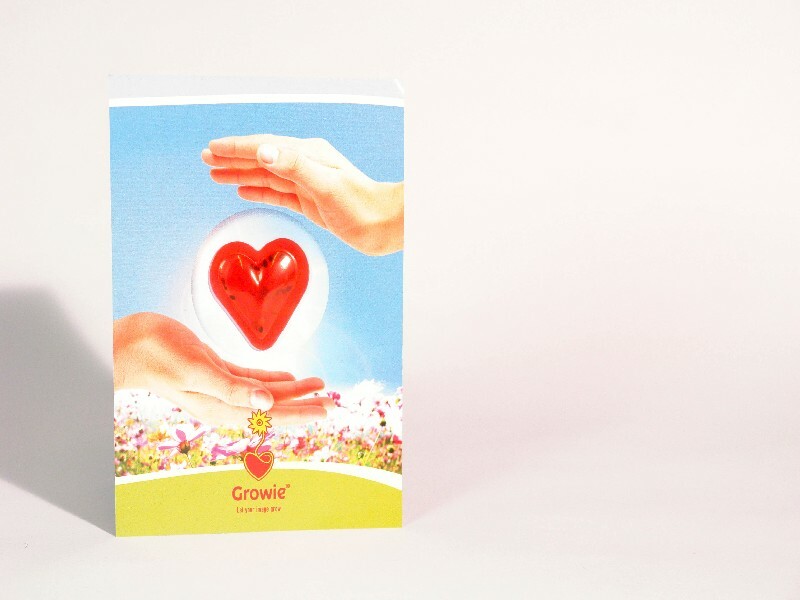 Growies integrated with thyme seeds allow the consumer an individual experience of natural herbal power. 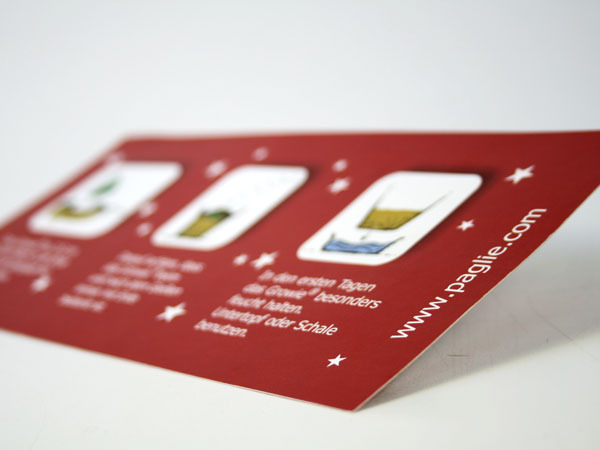 Personalized Christmas Greetings - a special, lively Christmas card with an integrated GROWIE®. 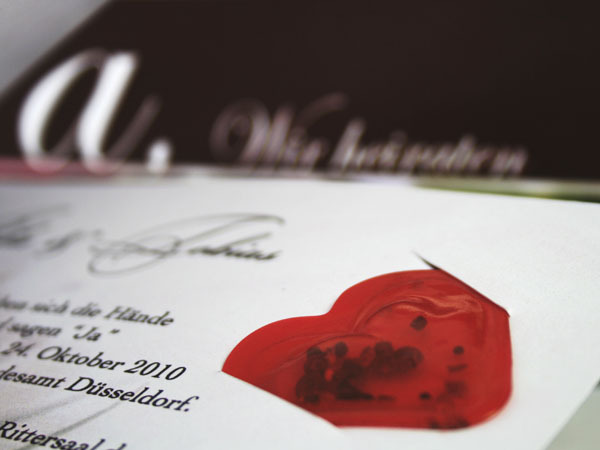 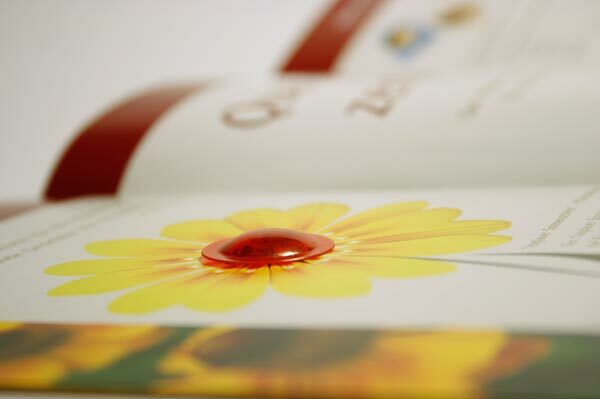 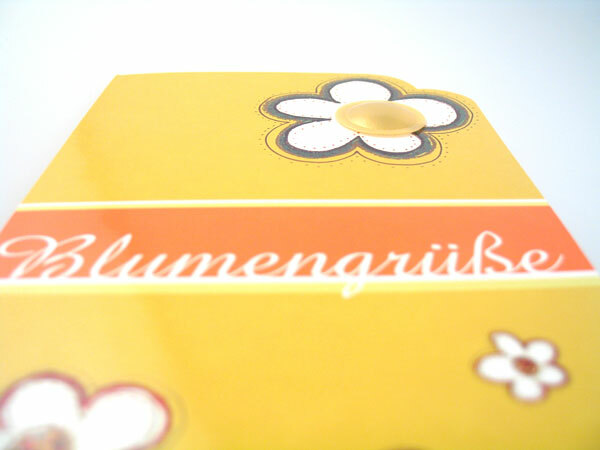 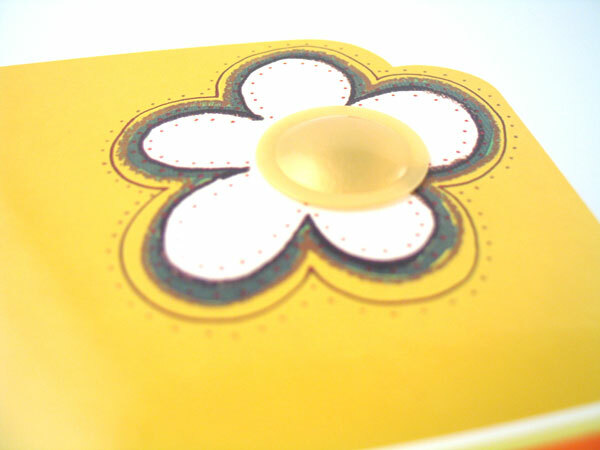 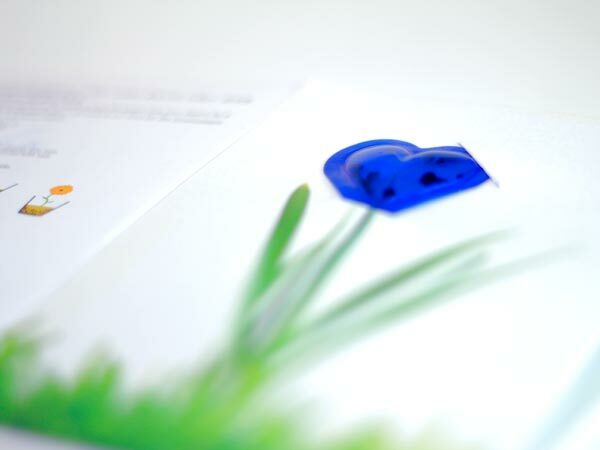 GROWIE® is pretty much accepted as integral part of invitation cards or as giveaway for events. 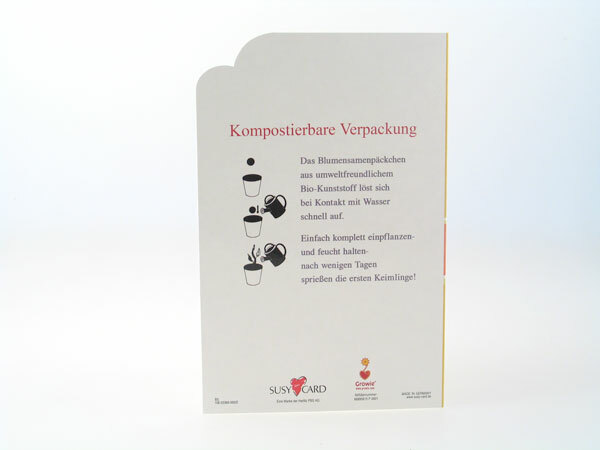 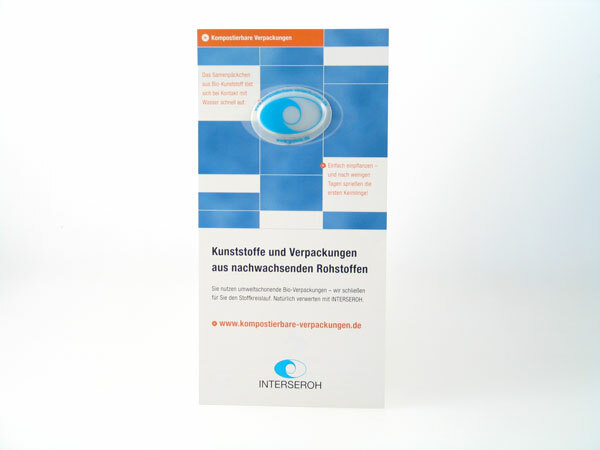 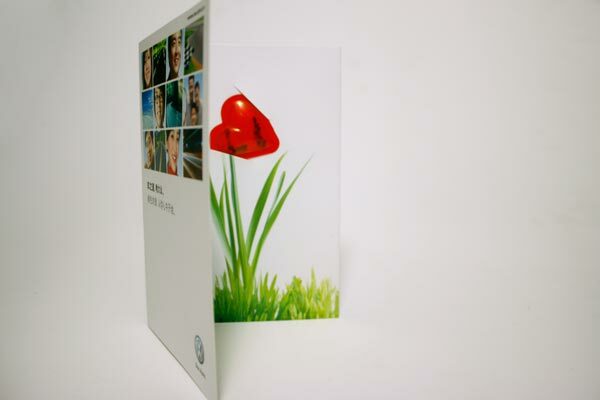 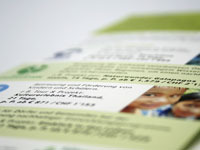 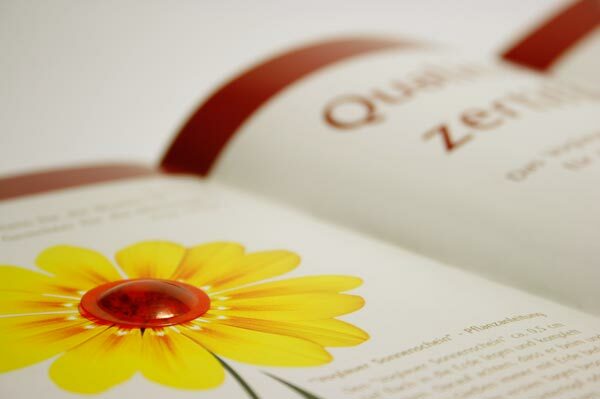 A standard form fixed on an individual printed card provides an efficient solution even for smaller volumes. 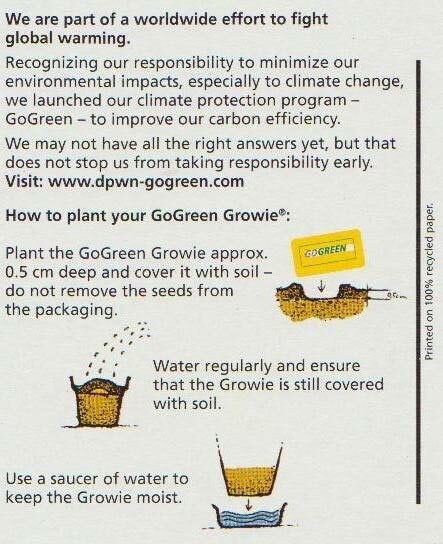 GROWIE® as climate neutral promotional item is highly qualified for environmental linked campaigns. 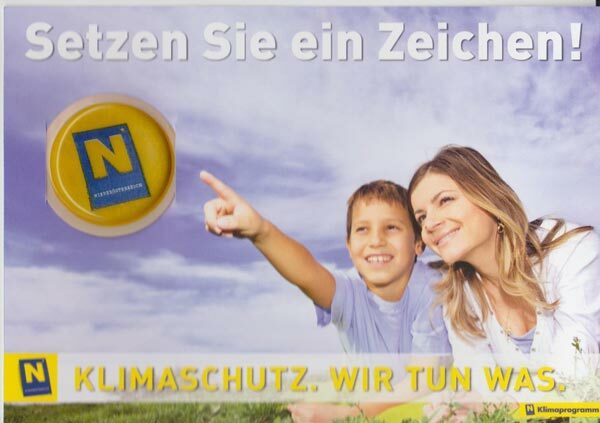 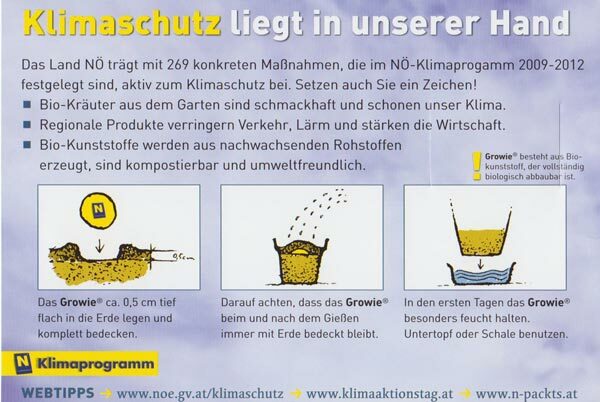 The federal state government of lower Austria is using GROWIE® as integral part of the advertising material for the “climate day 2009”. 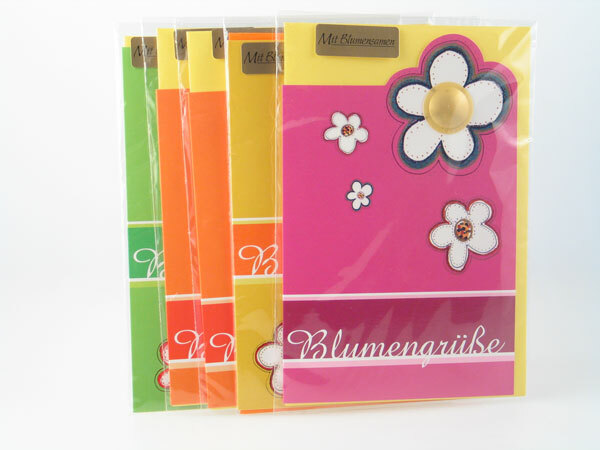 Individual designed greeting cards for the summer collection of Susy Card. 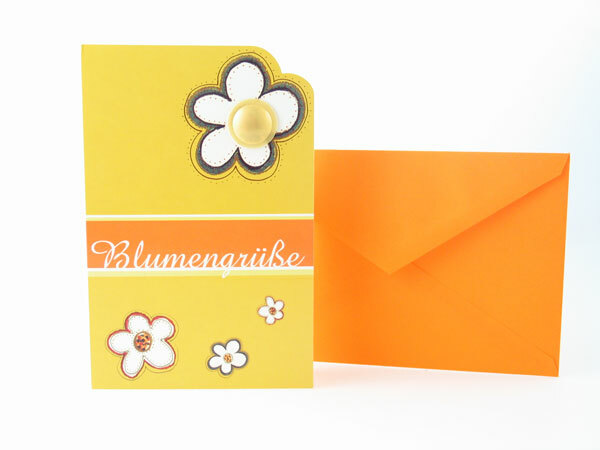 Each card contains one Growie with summerflowers. 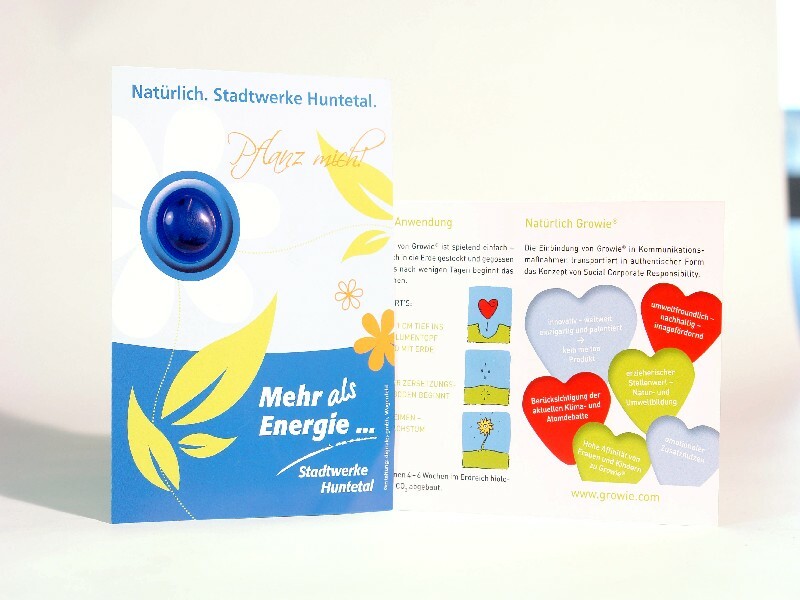 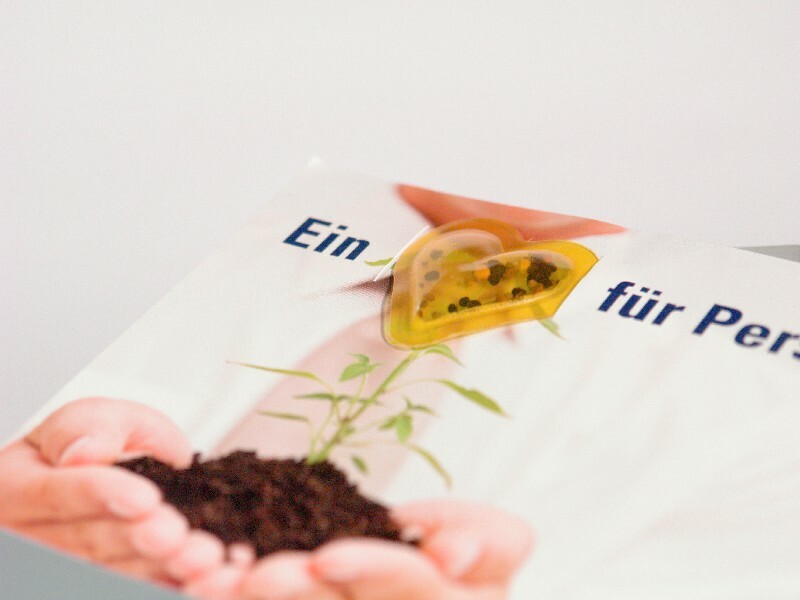 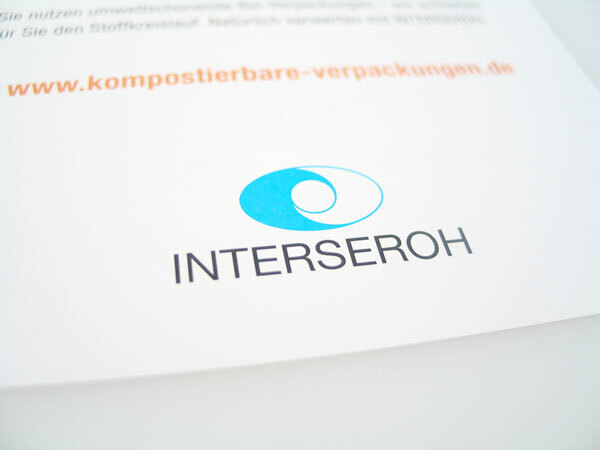 Growie was designed as a response-strengthener placed on a mailing for a German health insurance. 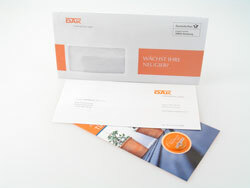 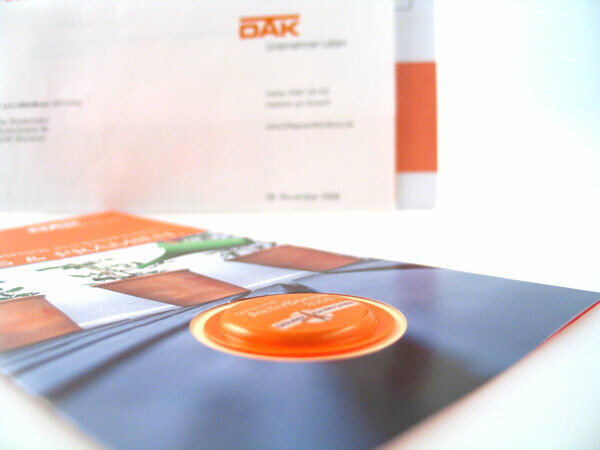 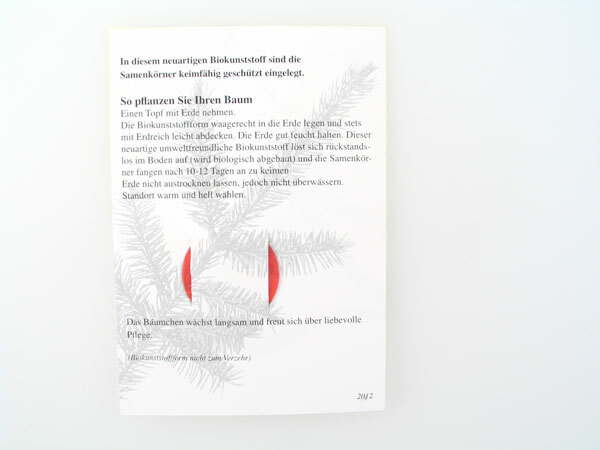 Parts of the mailing: envelope, letter, flyer with an affixed Growie shaped and printed as the well known "DAK-Bonus-Point". 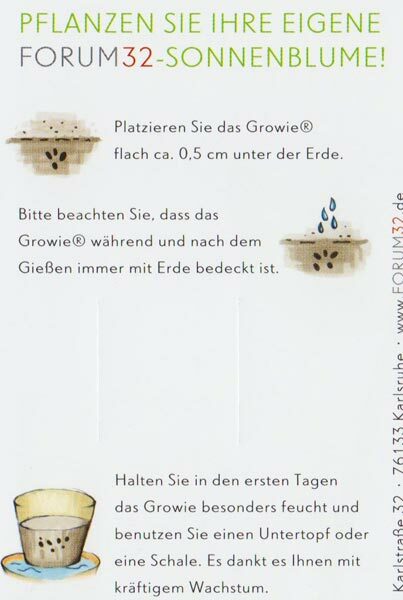 The Growie contains marigold-seeds. 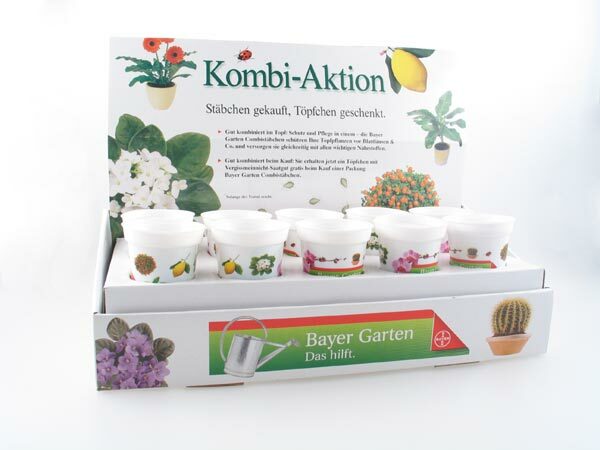 Countrywide promotion in hardware stores for Bayer CropScience. 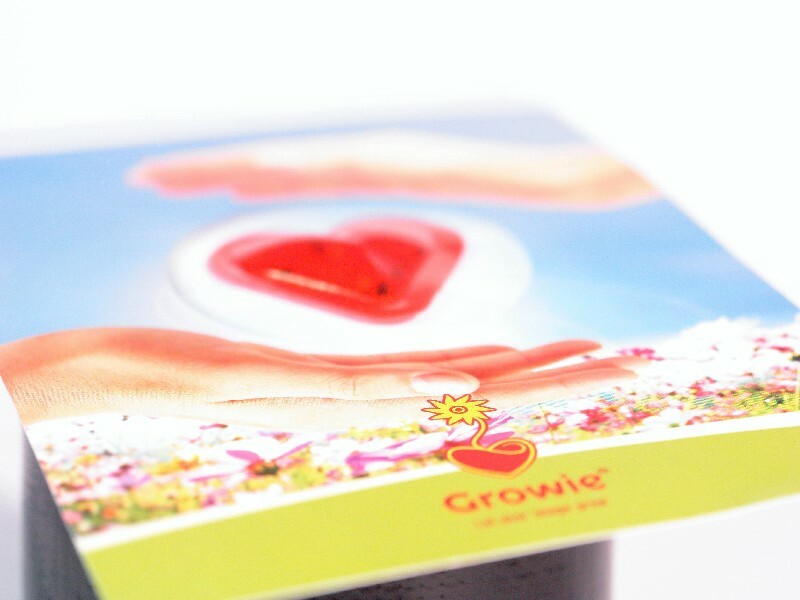 Growie was designed as a Give away on the point of sale for a counter display. 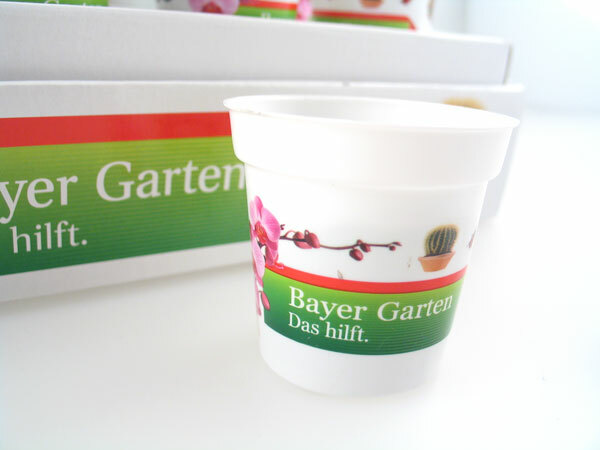 The growie was designed and printed as the original Logo of Bayer CropScience containing for-get-me-not-seeds. 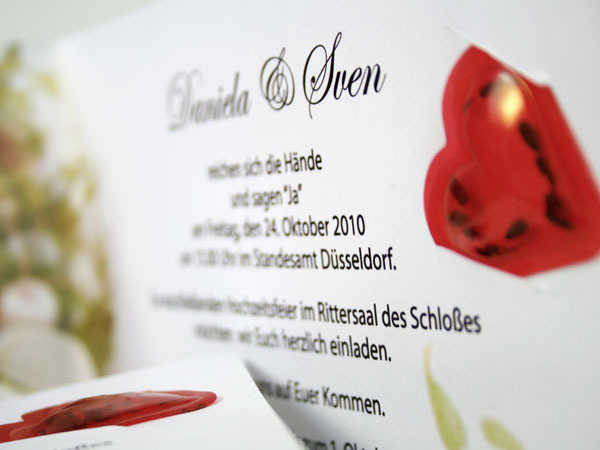 Invitations and place cards for the wedding in a particularly symbolic way. 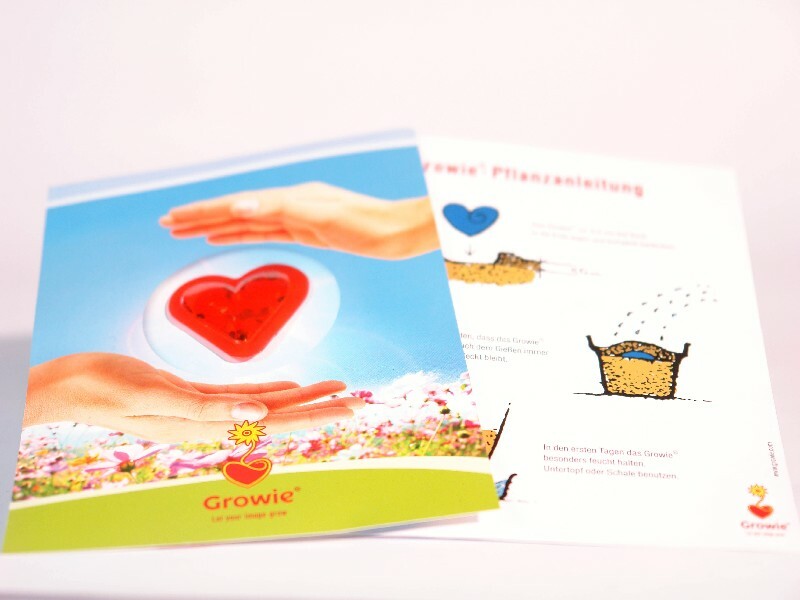 Beside the individual organization of the Growies also motives for standard for the multi-functional employment are offered. 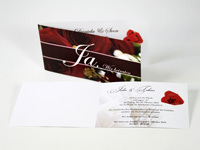 These can be up-donated and/or fixed on almost any medium.